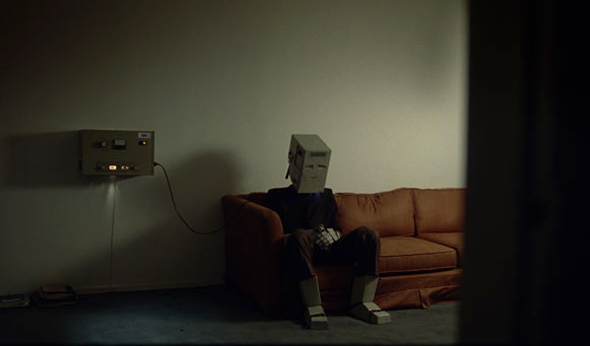 I’m Here, the latest film by director Spike Jonze (Being John Malkovich, Adaptation, Where the Wild Things Are), is a robot love story that is sweet and heartfelt, and yet tinged with a haunting sadness. To call the film futuristic would be incorrect, as much of the setting is modern-day Los Angeles with one exception- robots and humans coexist. Through this parallel world we experience love and acceptance through the eyes of Sheldon (British actor Andrew Garfield), who is shy, isolated, and lonely. Sheldon soon finds love and adventure in a free spirited female robot, who helps break him out of his solitary life. Love, however, comes with a price, and Sheldon loses himself in the process of protecting the one thing he cares about. In creating the story, Jonze credited inspiration to the late poet and storyteller, Shel Silverstein. “I was trying to take the influence of The Giving Tree, but write about relationships,” says Jonze. “I love Shel Silverstein. I just love him.” The character Sheldon was even named in Silverstein’s honor. The 30-minute short film was funded by Absolut vodka, but is yet to lock down a distributor. Hopefully it will find its way to screens soon, either via the internet or television, as many will adore this wonderfully moving piece about two individuals finding each other and being able to celebrate their existence in a world that is not quite ready to accept them. Check out the trailer here. What do you think about Spike Jonze’s choice in subject matter?